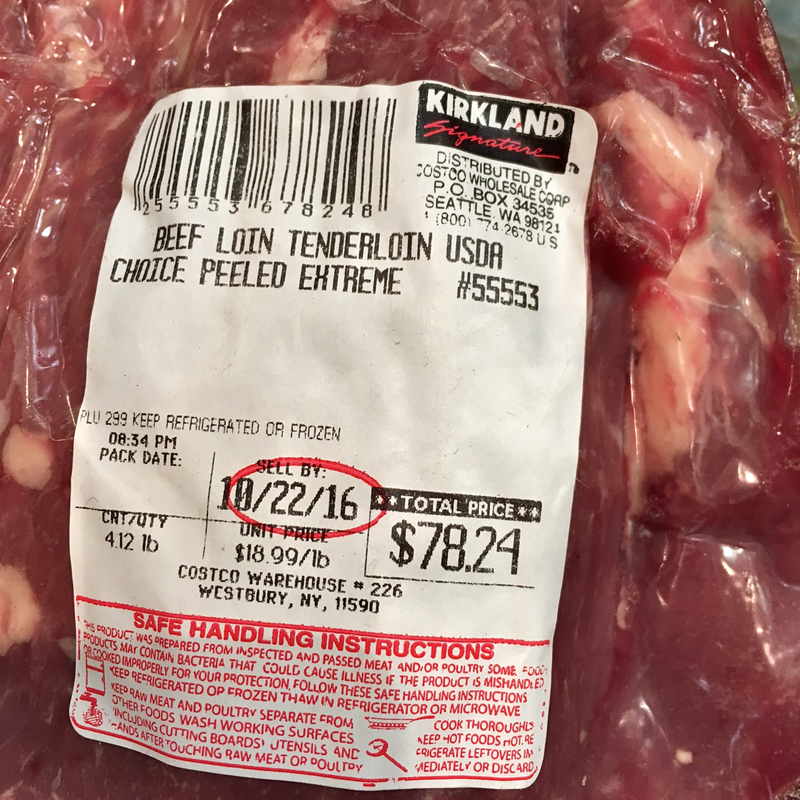 What Exactly is a Peeled Extreme Beef Tenderloin from Costco? 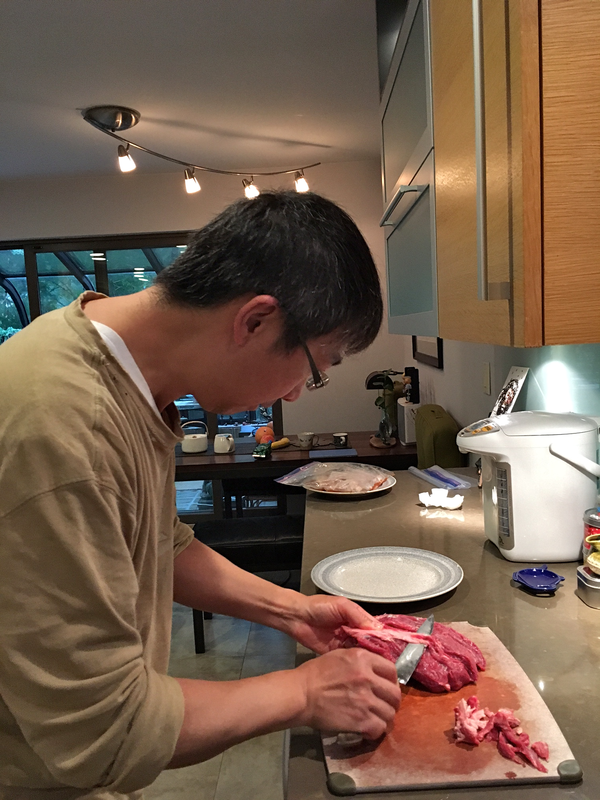 When I first got into Sous Vide cooking, I bought a whole beef tenderloin from Costco. I went home, and simply chopped it into thick steak slices. Then I proceeded to sous vide these, and then to pan-sear them. What turned out wasn’t exactly the filet mignon I was expecting. Parts of the steak were really tender. Parts of the steak were quite tough. Yet other parts had connected tissues that were impossible to chew on. It was only after this experience that I spent some time researching tenderloin. And I realized that I bought a whole tenderloin that contained three different pieces of meat: psoas major, psoas minor and iliacus muscle. These pieces were surrounded and connected by fat and tough connective tissues including the dreaded “silver skin”. I didn’t know any of these, and just sliced the unhappy union into steaks. If you want to learn more about these, please visit how to butcher a whole beef tenderloin into filet mignon steaks. 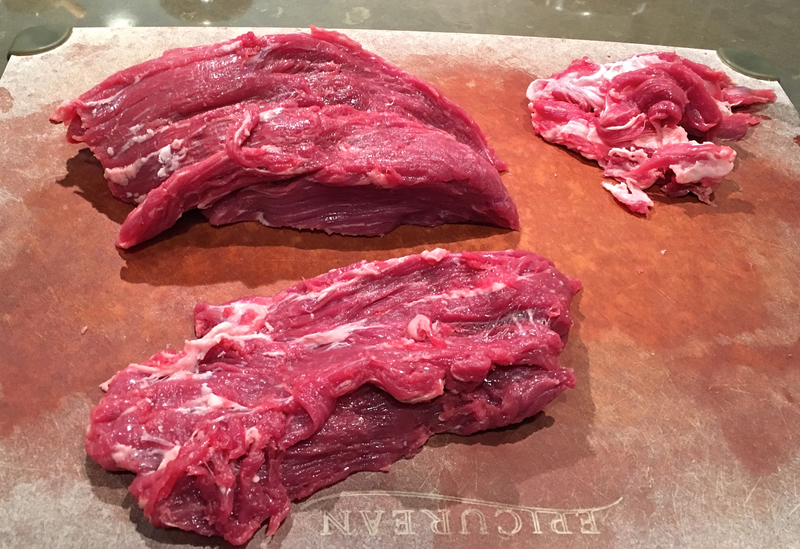 This short article of mine is not about butchering a whole tenderloin. It’s about not having to bother with butchering a whole tenderloin. 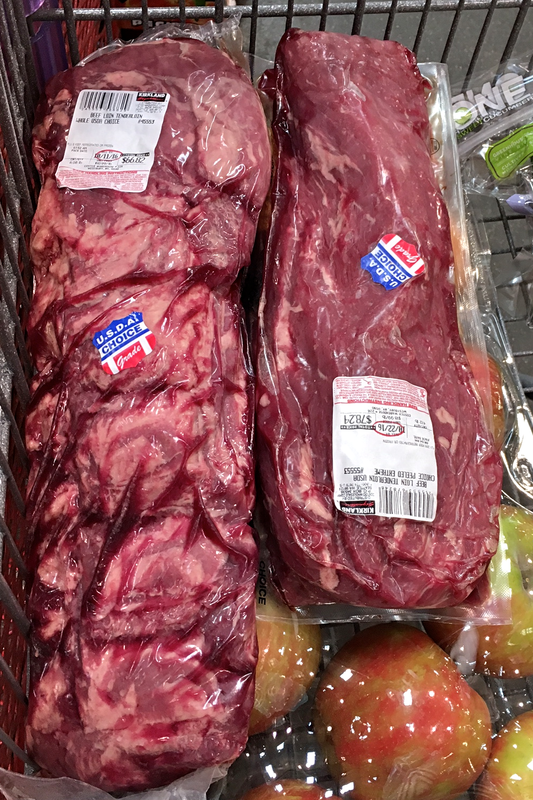 It turns out that Costco sells processed tenderloin, albeit at a much higher unit price. I found the increased price well worth paying for. This processed version is called “Peeled Extreme Beef Tenderloin”. WARNING: if you are a vegetarian and do not wish to see more pictures of red meat, do not click on this article. Stop reading now. Let’s start with a visual comparison of the “whole” tenderloin, compared to the “peeled extreme” version. 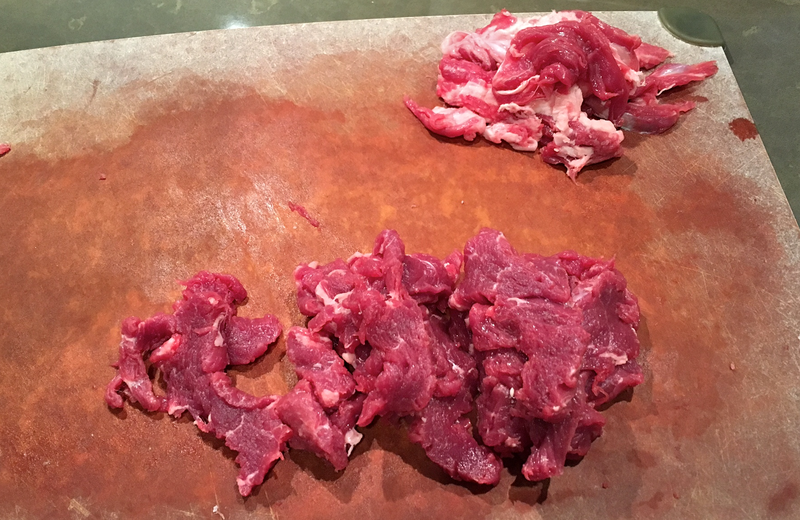 The whole tenderloin is on the left, while the peeled extreme is on the right (with an upside-down label – sorry about that). 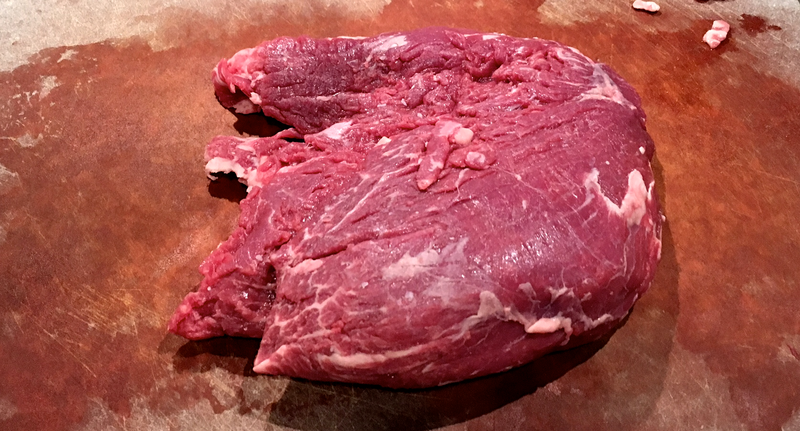 The whole tenderloin is much bigger, and is surrounded by a lot of fat, hiding nasty connective tissues. The unit price is $11 per pound. Here is the Peeled Extreme Beef Tenderloin. Note the $19 per pound unit price. 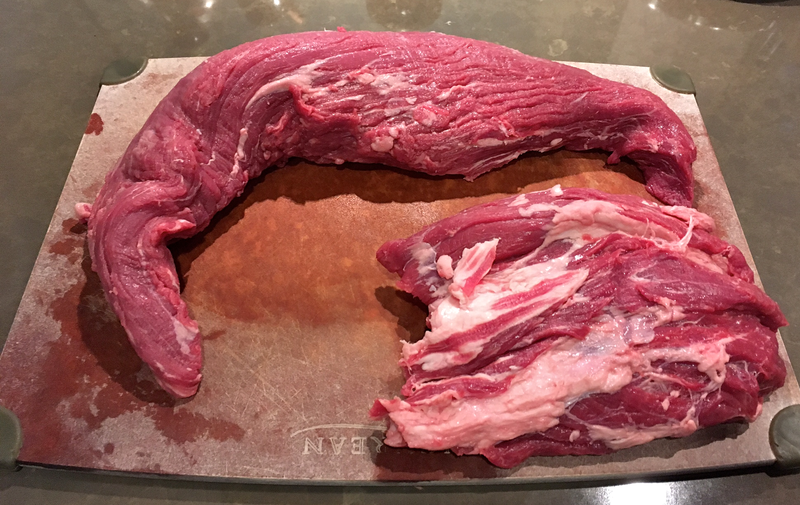 If you want to know what a “whole” tenderloin looks like unpacked from the casing, go to how to butcher a whole beef tenderloin into filet mignon steaks. Here I’ll show you what the Peeled Extreme looks like, when removed from the casing. Right away this looks very different from a whole tenderloin. First of all, almost all fat has been trimmed away. And almost all connective tissues, and especially the silver skins are all peeled off. The psoas minor (aka the “chain”, or the “side muscle”) is also gone. This leaves only the main tenderloin (psoas major) and the “wing” (iliacus muscle). Some people bundle meat from the wing with the main tenderloin using cooking twine. I have no such thing, so I just cut the wing pieces from the main tenderloin, and stop worrying about creating uniformly round steak slices. 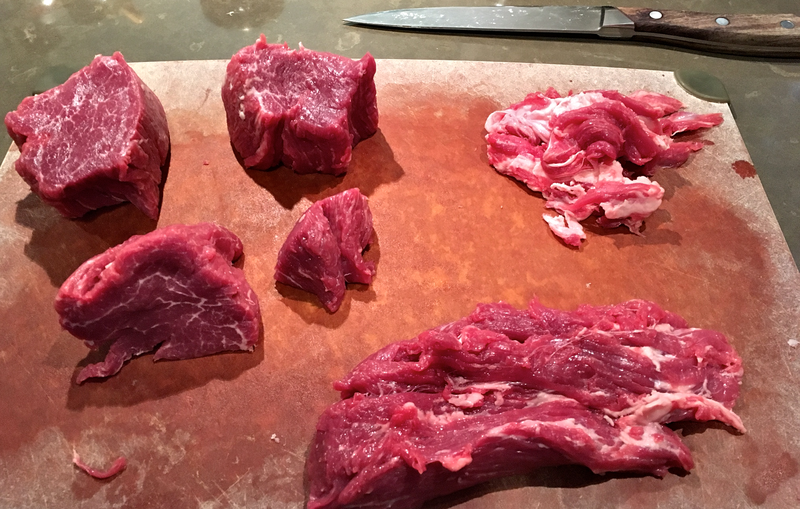 After examining the tenderloin for any remaining silver skins, and removing them, I sliced the tenderloin into ten steaks of varying sizes. The wing requires some more work before it can be turned into steaks. Examine both sides of the wing. Note the fat, even though I don’t mind having fat on my steak. Fat sometimes hides connective tissues underneath. Look carefully. Pick out and slice away silver skin using the tip of the knife. The picture to follow shows the result of trimming. On the upper-right you’ll find, set aside, removed fat, connective tissues and unfortunate collateral damages. These could have been used to make a quick, flavorful soup as I continued to process the wing. The wing is cut into two pieces, and some more steaks result from the bigger cut. Dump fat, connective tissue and collateral damage into boiling water. Add ginger and salt. I sliced the smaller cut from above into thin beef slices. Once the beef soup boils, I scooped up and discard those connective tissues. Dump the thin slices into the soup. 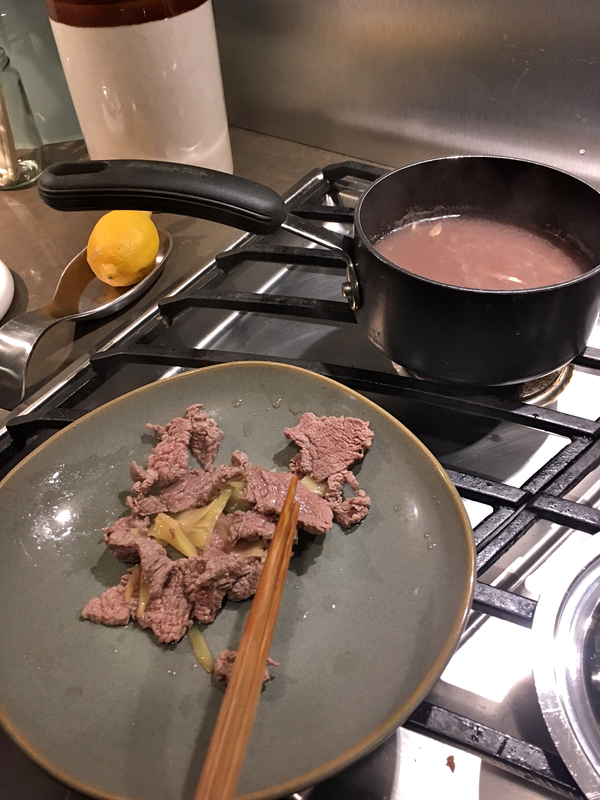 You now have a nice beef soup, with tender slices of tenderloin. 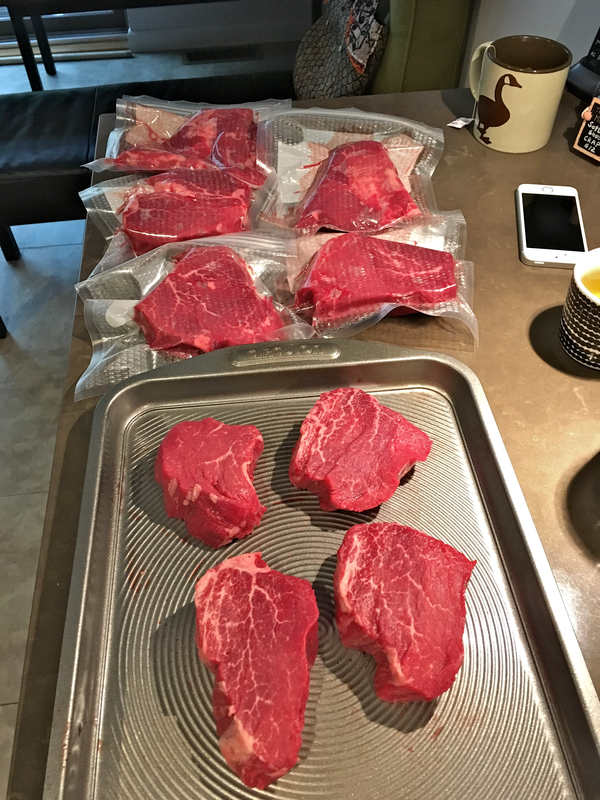 Cooking the steak later in vacuum-sealed bags for two hours at 130°F. Take the steak out of the bag. Pat it dry. Sprinkle salt and pepper. Pan-sear it. Here is the result. I bought a bigger piece of Peeled Extreme at a later occasion. It turned out that pieces cut from it were a lot more substantial. I think next time I am buying the biggest Peeled Extreme I can find. 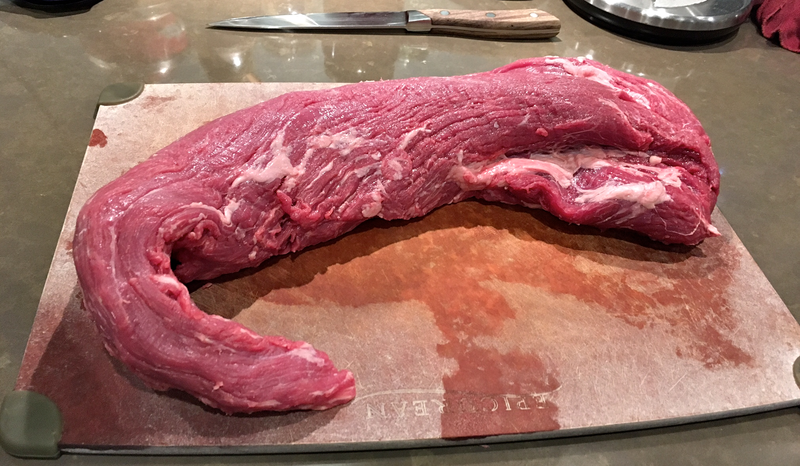 This entry was posted in Gourmet and tagged beef loin tenderloin, beef tenderloin, chain, connective tissues, Costco, filet mignon, Iliacus muscle, Peeled Extreme, Peeled Extreme Beef Tenderloin, Psoas major, Psoas minor, side muscle, silver skin, sous vide, wing. Bookmark the permalink. 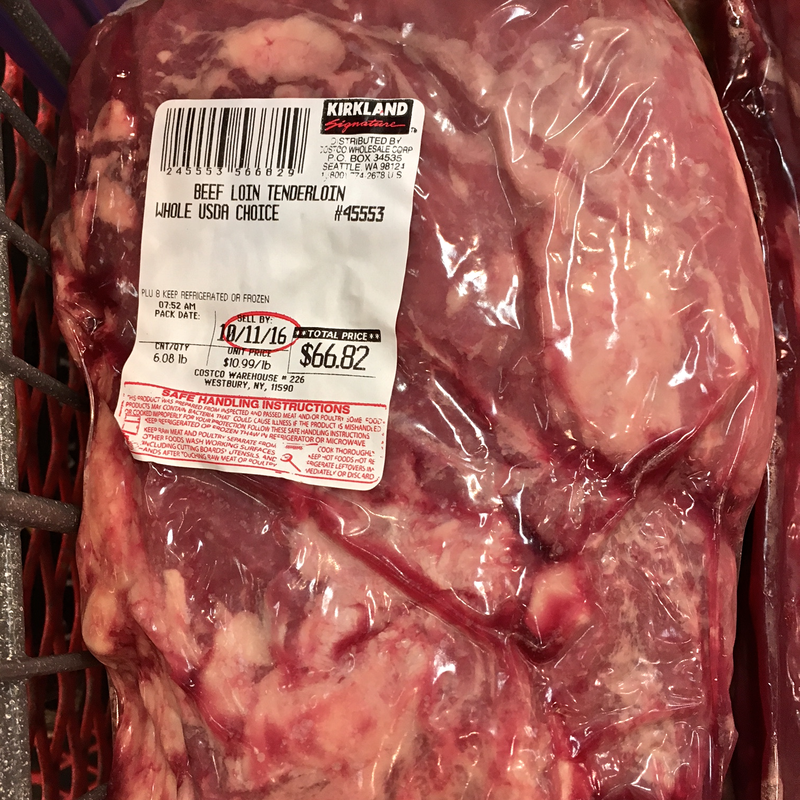 8 Responses to What Exactly is a Peeled Extreme Beef Tenderloin from Costco? Just bought an “extreme at Costco” ($30 instant rebate, so $12/lb) and after being perplexed by what came out of the plastic, asked google to find something and you came up on top. What time & temp on the sous vide? Great article, thanks. I am glad you found this useful at the time you need it. I followed the convention for the temperature. That is, 130°F for a medium rare result. As for time, I think it’s up to your personal preference. I’ve tried many different time settings ranging from 1 hour to 4 hours. I don’t chop my steak into thick slabs. 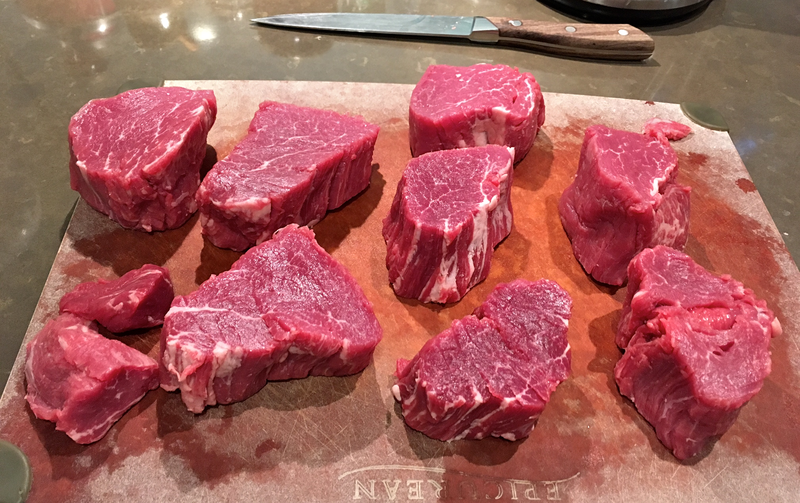 You can see the average thickness of my steaks from my pictures in this article. Basically, after an hour the steak is OK for browning, especially if you don’t wait for it to cool down before you put it on the grill. If you sous vide it for 4 hours, you’ll get a buttery texture that melds in your mouth. It’s a strange feeling and hard to describe. Why don’t you give it a try? 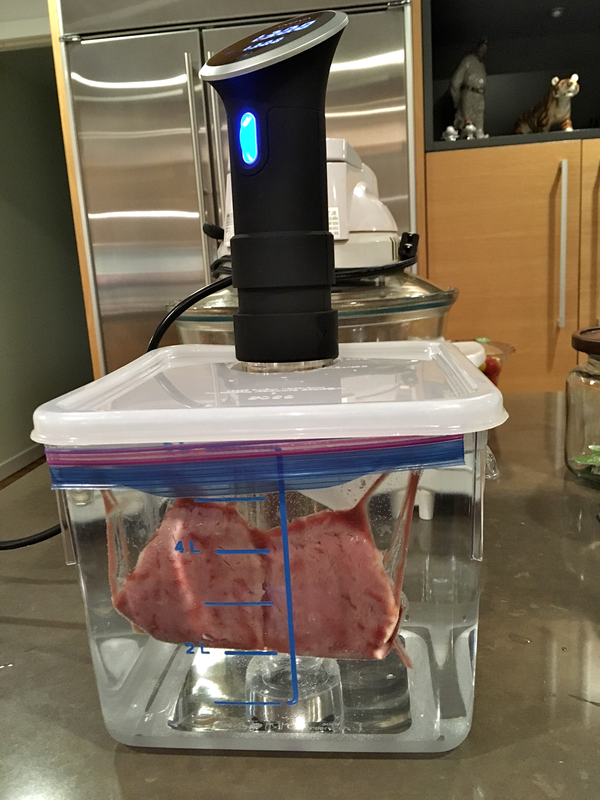 I consulted this: http://www.seriouseats.com/2015/06/food-lab-complete-guide-to-sous-vide-steak.html. I like the way they approached this research. Xinhai Dude 辛亥生網誌, thank you so much for such a detailed and instructive posting. I made the serious mistake of purchasing regular whole tenderloins and made the biggest mess out it because I had no real idea of the details your outlined. 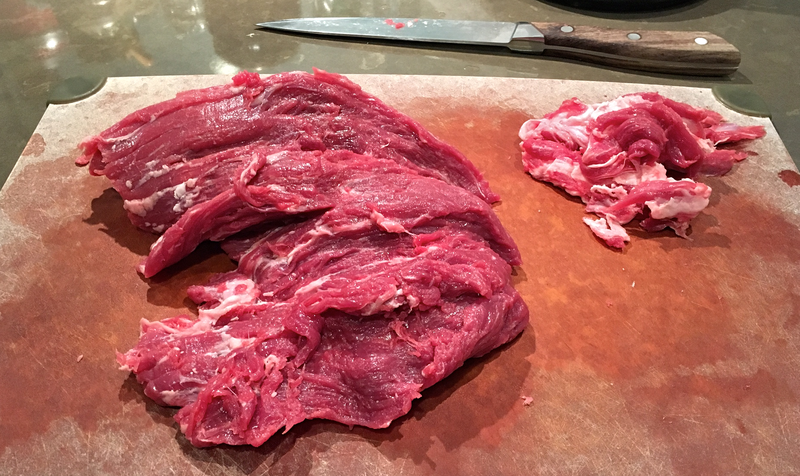 The added cost of the peeled extreme cut is well worth the additional cost when you consider the added waste and amount of time to prepare the tenderloin. Costco should add your posting at every store’s meat department. Thanks for the kind words. I am glad you stumbled upon this article I wrote. very good ! Thank you.